After the Japanese invaded China in 1937, they controlled China's Pacific coast. The Chinese could not be resupplied by sea. Then, in the spring of 1942, Japanese units overran Burma, cutting off the land route that supplied the struggling armies of Chiang Kai-shek. When Japan cut off the Burma Road supply route, the U.S. (with planes commandeered from U.S. domestic airlines!) began flying the treacherous route over the Himalayas and became the lone supplier of China’s combat forces along with Air Force General Chennault’s American Volunteer Group, the Flying Tigers. The United States and its allies needed to keep China in the war. Chinese forces preoccupied hundreds of thousands of Japanese troops. Holding China permitted the Allies to attack Axis powers in Europe. China could also be a launch site for an Allied attack on Japan's home islands. However, the grand strategy could only work if China could be supplied; hence the airlift. Furthermore, it is not exact to believe the United States entered World War II after the Japanese attack at Pearl Harbor. The reality is, the U.S. began to help the Chinese before the December 1941 Pearl Harbor Attack. Aid to the Chinese began in April. And, in June the Flying Tigers were sent to fly missions against the Japanese. The U.S. was engaged in conflict with the Japanese six months before Pearl Harbor. The Japanese know this. (Ever wonder why Pearl Harbor was attacked?) Now you know! Anyway, creating an airlift presented the Air Force with a huge challenge. In 1942, there were no units trained or equipped for moving cargo. There were no airfields in India for basing the large number of transports. Flying over the Himalayas was extremely dangerous and made more difficult by a lack of reliable charts, an absence of radio navigation aids, and no information about the weather. Regardless, in April 1942, pilots started flying the "Hump," and continued missions until 1945, when the Burma Road was reopened. The dangerous 530-mile long passage over the Himalayan Mountains took its toll. 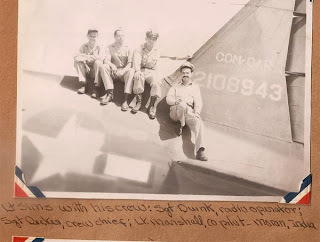 Nearly 1,100 men and 638 planes were lost over the Hump. The thousand-mile roundtrip was full of high winds, sub-zero temperatures, thunderstorms and 18,000 foot mountain peaks. They flew it without cabin pressure or heat in the transport planes of the day, twin-engine C-46s and C-47 "gooney birds". Navigation was by radio and dead reckoning. Each of the men earned a Distinguished Flying Cross! The effort is legendary by any measure. So my message this week is when you are trying to make it over the Hump, I hope the heroic efforts of the Hump pilots inspire you to persevere! There are two species of camels, the Dromedary (Camelus dromedarius) and the Bactrian (Camelus bactrianus). Dromedary camels have one hump and were domesticated about 4,000 years ago. There are no Dromedaries left in the wild. However, there is a large feral population (600,000) of Dromedaries living in the Australian outback. On the other hand, Bactrian camels have two humps. Although most of their numbers are domesticated, they still have a small wild population. One hump or two, camels are one of the most adapted animals in the world. They can avoid perspiring by raising their body temperatures about ten degrees and thus preserve their fluid. Their eyes are large and protected from wind and sand by double layers of long lashes. Their eyebrows provide a boney "visor" that shields the eye from the sun. Camels also have a third eyelid that moves sideways and acts like a windshield wiper, brushing the eye clean of sand. Even when this eyelid is closed, camels can still see, allowing them to travel in blinding sandstorms. The camel's ears and nose are lined with hair for protection from dust and sand. The camel's nose is also designed to trap moisture from its exhalations, thereby conserving body fluids. 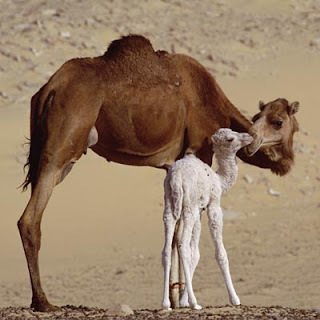 A camel's long legs keep the bulk of its body high above the reflective heat of the desert sand. Camels have a reputation for spitting. But this is incorrect. (Just ask my former Marine husband, John who has first-hand experience with Bedouin camels.) Actually, camels “hock” stuff up from their stomachs and vomit on you. (Nice!) John says camels are the nastiest animal on the planet. He contends considerable discipline restrains Marines from occasionally shooting a surly camel. And finally, let’s get to this week’s life message. Persevere until you get over the hump. Often, time will provide perspective and relief. And, to improve the situation contact me at my website, http://www.Facebook.com/ReliefWithJulie. More on humps next week! The company is the world's third largest public corporation and the biggest private employer with over two million employees. Walmart is the largest (sells the most) retailer in the world. However, it is still a family-owned business. The Walton family, who owns a 48-percent stake in the corporation, controls the company. Walmart is also one of the world's most valuable companies with assets exceeding $204 billion! In 2012, the company had revenues exceeding $407 billion! Walmart has 9,000 stores in 15 countries, under 55 different names. The company operates under the Walmart name in the United States, including the 50 states and Puerto Rico. It operates in Mexico as Walmex, in the United Kingdom as Asda, in Japan as Seiyu, and in India as Best Price. It has operations in Argentina, Brazil, Canada, China and beyond. Walmart was founded by Sam Walton in 1962, incorporated on October 31, 1969, and first traded on the New York Stock Exchange in 1972. The company is headquartered in Bentonville, Arkansas. Walmart is also the largest grocery retailer in the United States. It generates about 51-percent of its sales in the U.S. from its grocery business. Walmart Stores U.S. is the company's largest division, accounting for about 63-percent of its total sales. It consists of three retail formats: Discount Stores, Supercenters, and Markets (Neighborhood and Express). This is where the Oriental saga enters. Walmart Express is a smaller discount store with simple grocery shopping, check cashing, and gasoline service. The concept is focused on small towns that are not able to support a larger store, and in large cities where physical space is at a premium. 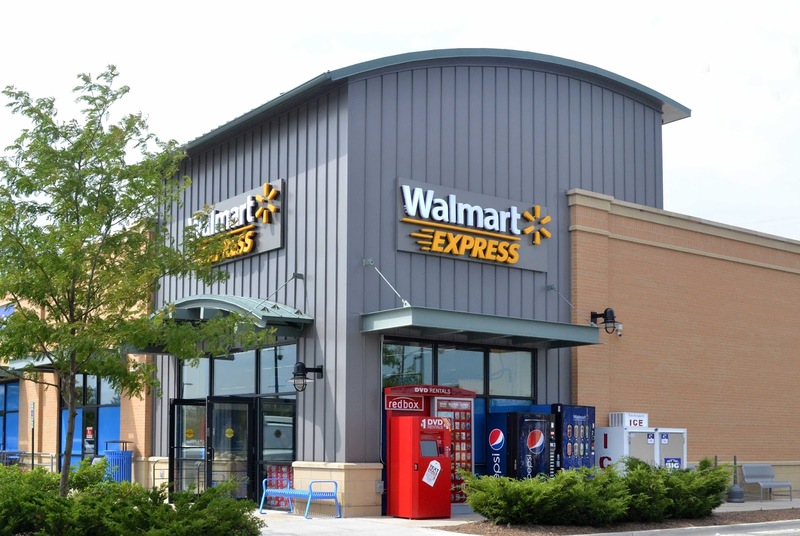 Express stores are less than one-tenth the size of Walmart supercenters. The larger Neighborhood Markets are more than twice the size of Express stores. Walmart planned to build 15 to 20 Walmart Express stores, focusing on Arkansas, North Carolina and Chicago, by the end of its fiscal year in January 2012. As of the end of July, Walmart had 10 Express stores and had ramped up its Neighborhood Market concept to 217 locations. A large portion of retail growth has been in the smaller markets; hence, Walmart’s Oriental strategy. It has been interesting to witness the emotional reactions by Oriental towns-people. I’m not sure Walmart is a colonial super power like 18th century England (town meeting reference)! Granted it may not be wise for local businesses to compete head-to-head with Walmart Express on prices of basic goods. However, the corporation has huge overhead and the local pricing will probably still be very competitive. And, to those who fear local businesses will not survive, I say exhale. Take Denton Pharmacy for example. Ed Denton’s business practices will ensure his continued success: local relationships, networks, niche products and customer service. Ed knows his customers by name. His customers quickly become friends. Denton Pharmacy rivals Nordstrom and the Ritz-Carlton in customer service. Our local business people are strong and savvy. I look forward to seeing their creative strategies for success unfold! I was raised in Thousand Oaks, California. Back then, it was very rural. Often, movie companies from nearby Hollywood filmed westerns in Thousand Oaks. The town was near enough to make travel convenient and remote enough to achieve the desired country setting. I never imagined leaving California. It is a magnificent part of the country where you can surf and snow ski on the same day! My parents still reside there. They have lived in the same house for forty-five years and have long standing relationships with their neighbors; which leads to this week’s story. Most of the neighbors have keys to each other’s houses. 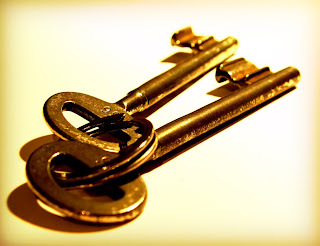 Sharing keys is a common practice to remedy the inadvertent lock-out from one’s house. Well, this particular afternoon a neighbor inadvertently locked herself out of her house. No problem. My parents have a key. Unfortunately, it was the wrong key. Locks were changed and the new key was not issued to my parents. No problem. The neighbor’s daughter also has a key. She lives nearby and can open the house. Unfortunately, nobody can find her. She is out shopping and is not answering her cell phone. Fortunately, the neighbor’s son-in-law also has a key. Unfortunately, he is an attorney, was in an important meeting, and could not be interrupted. Fortunately, the neighbors across the street also have a key. Unfortunately, they couldn’t find it. Consequently, although my parents invited her to wait in their home, the locked-out neighbor resigned herself to enjoy the morning on her porch. About lunchtime, her son-in-law arrived on the scene with a key. After opening the door, he reminded his mother-in-law that she has a spare key taped under the small table on the porch. She had forgotten about that key. It was right under her nose the entire time. By now, you regular readers must know where this column is headed…first, a few words about actual keys, and then, the life metaphor. The first known lock and key were made out of wood about 4,000 years ago. Archeologists found the first lock in the Khorsabad palace ruins near Nineveh. Now we have keys to our homes, cars, boats, businesses, safe deposit boxes, lockers, diaries, and to so many other things. In some cases, combination-style locks and remote-access electronic locks have replaced keys. And then we have metaphorical keys, like success principles entitled “keys to success”. As with my parents’ neighbor, the keys to success are frequently right under our noses. In my case, that is a literal statement. A key to success for me has been to zip my lip. Zip it! For instance, when a sarcastic response rushes from your brain to your tongue, zip your lip. When you’re eager to spread the latest gossip, zip it. When you’re about to get in an argument with your spouse, zip it. A time for effective conversation will present itself. Breathe in. Breathe out. And zip it! Then, visit me where I rarely zip it, online at https://www.FB.com/ReliefWithJulie.